Today I have a cute nail art design for you today! I originally had a different idea in mind for these nails, but I decided to save that one for a different time. I have a Spongebob poster in my room (don't laugh lol) and got the inspiration from that design, as far as how to do the stars, but I thought it would be best to just make a separate design from the poster. 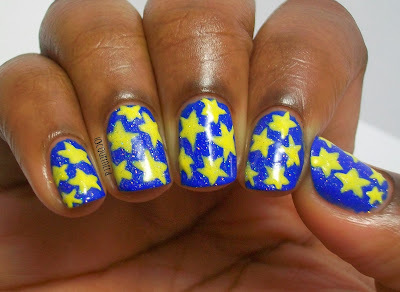 Lately, certain ideas that I originally have to do nail art on bring out even more designs in my head. It's so complicated, but it's fun. Anyone else get that way? 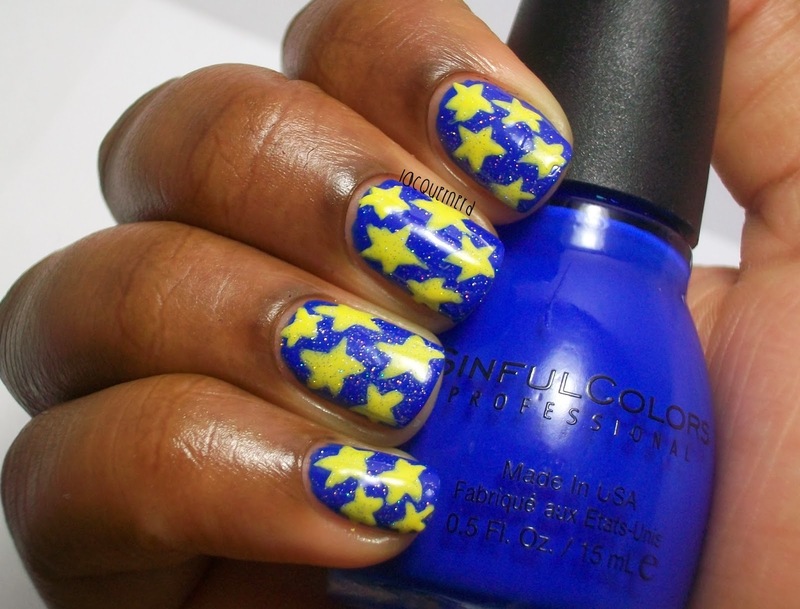 For this design, I painted two coats of Sinful Colors Endless Blue as the base color. 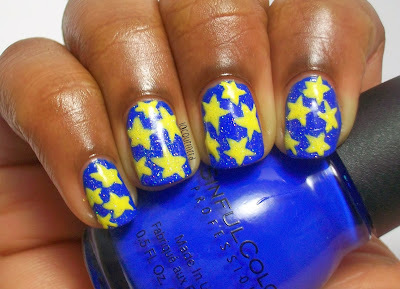 Using a detail brush, I freehanded the stars using Sally Hansen's Mellow Yellow. To make the stars easier for me, I first drew a star (the easy way where you go up,down,up,across, down) and then filled in the empty spaces with the polish and made the points a little longer. Finally, I finished it off with China Glaze's Fairy Dust. I think these are so adorable and they're very simple to do. I hope the star part was easy to understand. It was the only way I could try to describe it for you all lol. This design looks great with long and short nails. You can also do these with any colors that you want. I really like the last pose that I did in these photos. It really shows off the stars well and in a way kind of connect them all together, which kind of happened on accident haha. What do you think of this design? 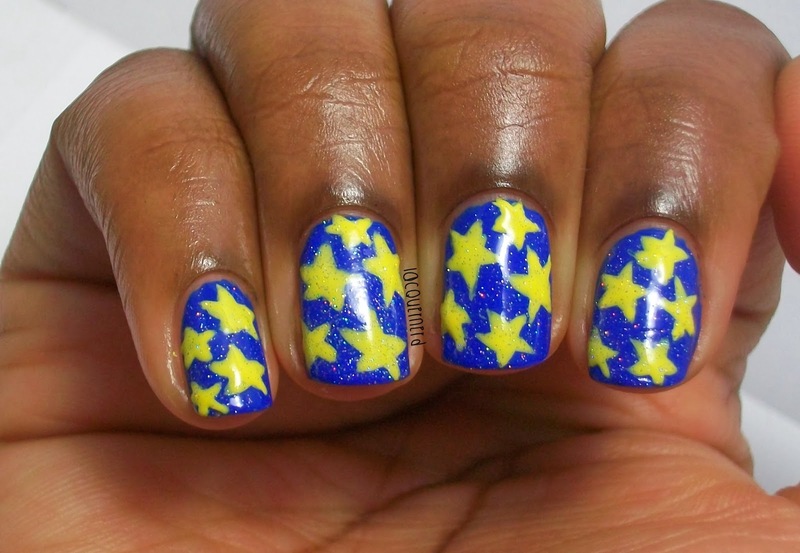 Have you created star nails before?